Offered in your choice of three sleek finishes, the Studio Designs File Cabinet is the perfect size for offices where space is limited. It features one full file drawer that accommodates letter- or legal-size files. 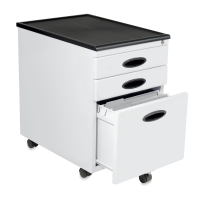 Two upper drawers are great for storing office or studio supplies, slides, accessories, and other necessities. Four casters let you wheel this file cabinet anywhere. Plus, an additional fifth wheel on the lower file drawer enhances balance and stability while you're accessing your papers. The drawers can be locked for security. 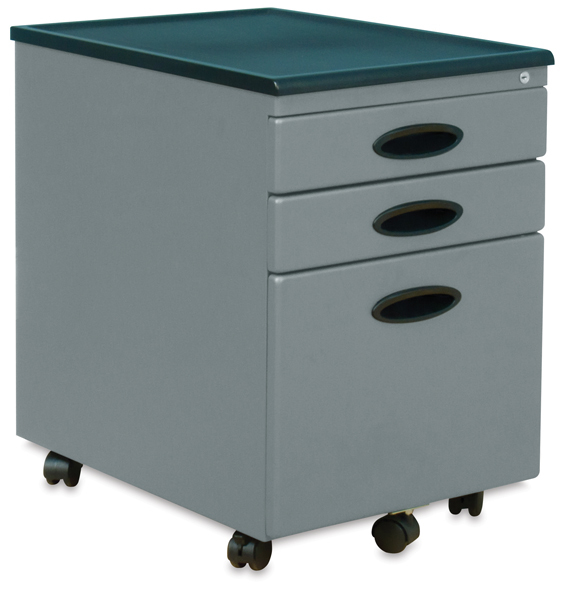 The Studio Designs File Cabinet ships fully assembled (except for the casters) and measures 23"H × 15¾"W × 22"D overall. The two upper drawers each measure 2¼"H × 12½"W × 17"D while the lower drawer measures 10"H × 12"W × 15"D.